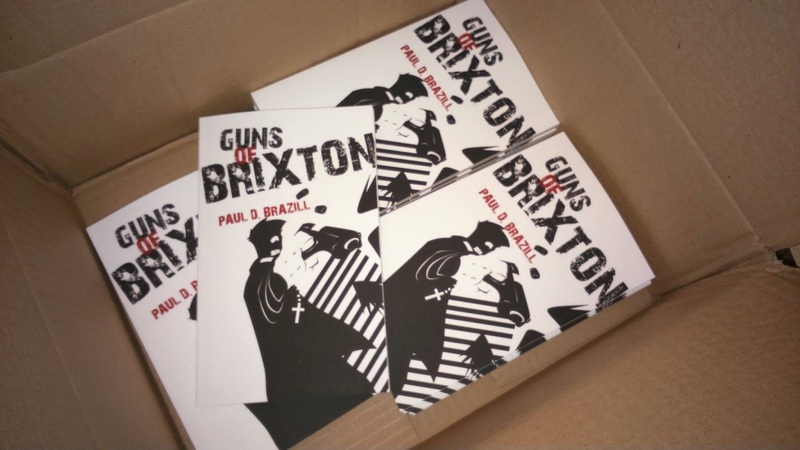 This week down Brit Grit Alley, it's all about Guns Of Brixton! Well, you know what they say: ‘When a one armed man chops down a tree in the forest, a butterfly claps’. No, really. The thing is, everything is connected, it really is. And Kevin Bacon is only six friends away from you, even though he isn’t on Facebook. A pretty daft idea but, you see, Eric Beetner had just launched a Flash Fiction Challenge and I really wanted to enter my story, which was called The Big Blow after the Manu DiBango song. I’ve been to Brixton man, times. When I lived in London, I was more than somewhat partial to visiting the Brixton’s cracking cinema, the Ritzy Picturehouse- which, on screen, was the only place I ever saw any guns. Somehow the title had to be Guns Of Brixton, written and sung by the Clash’s coolest member, bass player Paul Simenon. Not one of my favourite Clash songs, for sure, but there was something about the scary lyrics – ‘When they kick out your front door /How you gonna come?/With your hands on your head. Or on the trigger of your gun’- and cod reggae feel that seemed to suit a faux London gangster story down to the ground. I was pretty pleased with the yarn, too. It was, at the time, the longest story that I’d written and it felt fairly grown up. Well, for me. And so I sent it to Crime Factory because, well, who doesn’t want to have a story in Crime Factory? And they said yes, too, and scheduled it for issue five. And I was chuffed. And The Mammoth Book Of Best British Crime 8 has been out for a couple of years now. And I’m in there with Ian Rankin, Kate Atkinson, Paul Johnstone, Stuart MacBride, David Hewson,Allan Guthrie, Sheila Quigley, Nick Quantrill, Zoe Sharp, Nigel Bird and all sorts of classy types. And my name’s even on the back cover and I get mentioned in the introduction. No, really. And guess what? 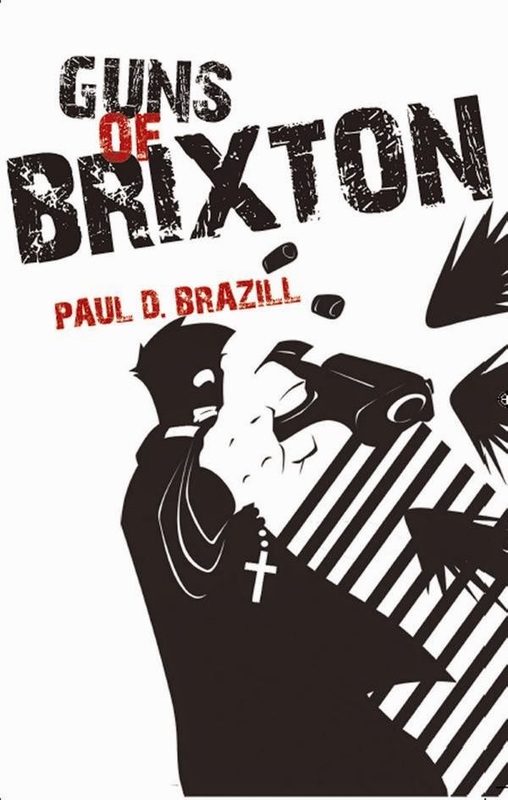 I let Guns Of Brixton marinate some more, too, and it has since developed into a novella, now published by Caffeine Nights Publishing.